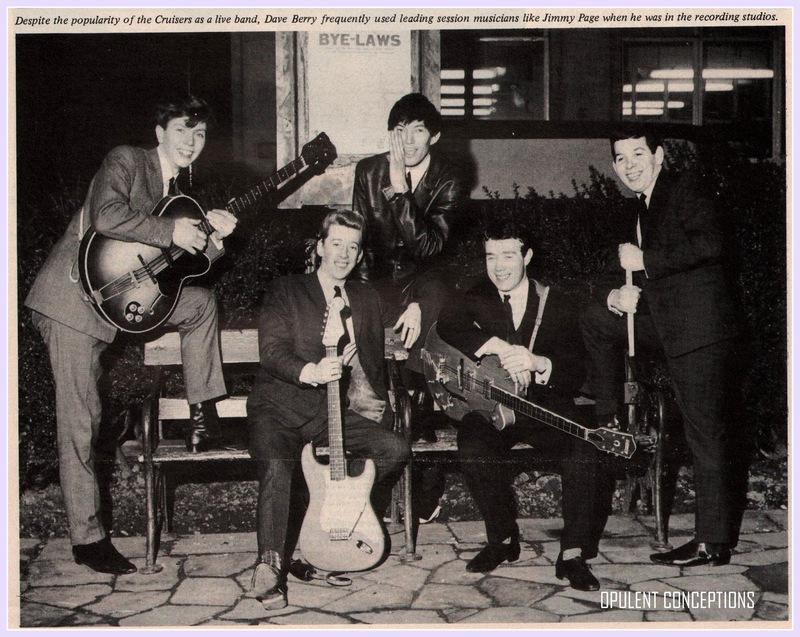 The next Dave Berry release was this wonderful double sided power pack of R&B but after the difficulties his backing band The Cruisers had in the studio last time out, Producer Mike Smith decided to employ session men. 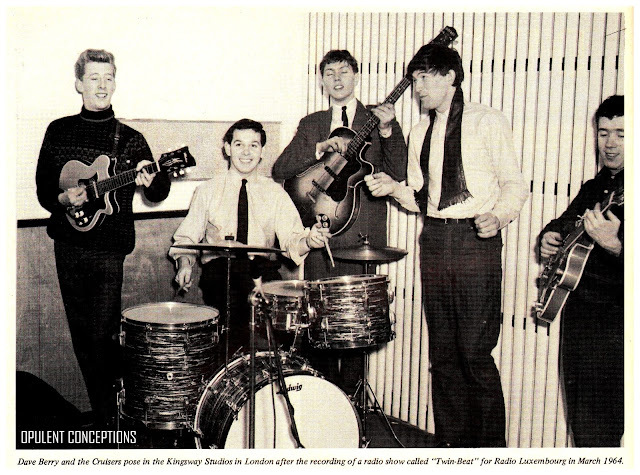 So among the musicians used were a young Jimmy Page and Big Jim Sullivan. 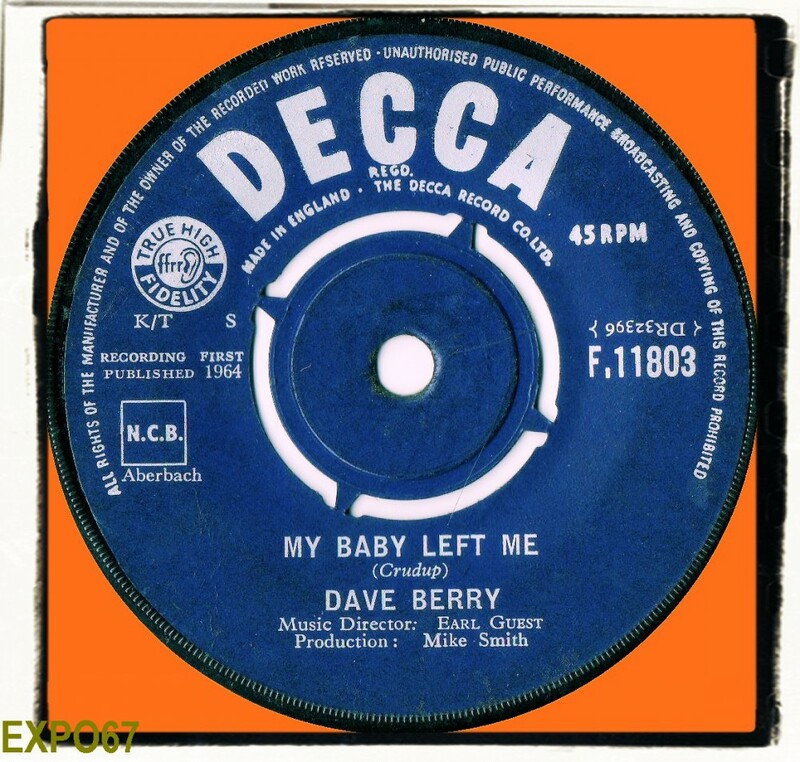 'My Baby Left Me' is the song popularized by Elvis but here Dave Berry adds some of the English beat magic that was everywhere in Britain during 1964 to update the tune into a beat killer. Listen out for a stellar guitar break from Page that leaves the listener wanting more. The flip 'Hoochie Coochie Man' was also pretty good and it's a single well worth tracking down. Despite the obvious improvement on the debut 45 'Memphis Tennessee', this one fared less well in the charts reaching a disappointing #37. I made my own YouTube video but it has been blocked in virtually every country around the World. I don't know why, but I've found this performance by Dave Berry of 'My Baby Left Me' from Shindig, March 1965. Over a year since it's release in the UK!! USA were WAY behind the scene during the early/mid 60s.